VW group and the City of Hamburg are co-operating on intelligent transport initiatives to introduce safe, sustainable and smarter mobility. During the ITS (Intelligent Transport Systems) European Congress, which is taking place this week, in Strasbourg, Volkswagen Group is presenting the activities it’s engaged in with its partners for the intelligent and sustainable transport of people and goods. As part of this project, the Volkswagen Group is showcasing intelligent, safe and sustainable mobility as well as its joint bid with the Free and Hanseatic City of Hamburg to host the 2021 ITS World Congress under a strategic mobility partnership concluded last year. Innovative technologies open up new opportunities for more efficient transport and improve people’s quality of life: one major theme of ITS is connecting vehicles in circulation with one another as well as with the latest traffic information, thus making optimal use of roads, parking spaces and energy. Car-pooling, e-mobility and automated driving also play an important role in this context and help relieve the strain on roads, cities and the environment. Under their strategic mobility partnership concluded in 2016, the Group and the City of Hamburg have joined forces to shape the urban mobility of the future and to develop the city as a model for forward-looking, sustainable and integrated urban mobility. To this end, intelligent mobility systems for both personal mobility and freight transport are to be brought together in an integrated approach. 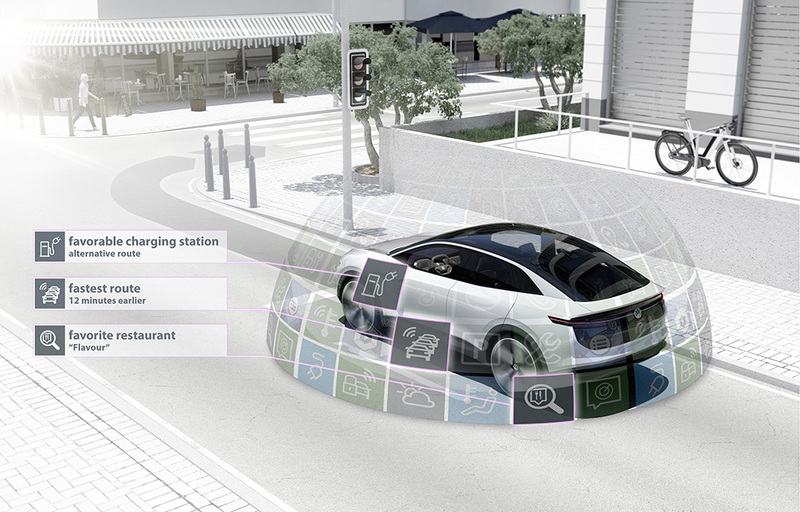 The Volkswagen Group’s e-mobility offensive is a key building block in this engagement in intelligent transport systems: the Group will be launching more than ten new electrified models by the end of 2018. A further 30 purely battery-powered vehicles will follow in the period to 2025. Spearheaded by Porsche, the Group is driving the expansion of a fast-charging infrastructure for electric cars. “Sedric”, the Volkswagen Group’s concept car, gave a glimpse of autonomous driving of the future. Audi recently founded a new subsidiary, Autonomous Intelligent Driving GmbH, to work on a system for autonomous vehicles for the entire Group. MOIA, the Volkswagen Group’s new company for mobility services committed to individual mobility solutions such as ride hailing via app and car-pooling, will also play a decisive role in ITS. The goal behind the notion of intelligent transport systems is safety, mobility and sustainability. This is the use of technology to improve vehicle safety, provide increased mobility to meet expected high levels of demand from more sectors of the community and to do it in a way that has no detrimental effects on the environment.